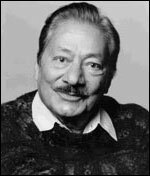 Saeed Jaffrey began his acting career in India, where he founded his own English language theatre company in Delhi in 1951. The group performed a range of drama classics including plays by Shakespeare , Oscar Wilde and Tennessee Williams . His first film in India was Satyajit Ray 's The Chess Players (1977), in which he starred opposite Richard Attenborough . His first international role was in John Huston 's The Man Who Would Be King (US, 1975). His success in the British film industry continued with starring roles in Gandhi (d. Richard Attenborough, 1982), A Passage to India (d. David Lean, 1984), The Deceivers (d. John Masters, 1988), and My Beautiful Laundrette (d. Stephen Frears, 1986) in which he played Omar's money-hungry, ambitious Thatcherite Uncle Nasser. He was also nominated for a Genie Award for his work in the Canadian film Masala (d. Srinivas Krishna, 1991). Jaffrey is as well known for his prominent television roles as for his work in film. These include Gangsters (BBC, 1975-76), The Jewel in the Crown (ITV, 1984), The Far Pavilions (Channel 4, 1984), Tandoori Nights (Channel 4, 1985) and Little Napoleons (Channel 4, 1994). In 1995, Jaffrey became the first Asian actor to be awarded an OBE for his services to drama.